so I didn't include new wands in the original list of contents. painful construction details but it's in my blood. Sorry. 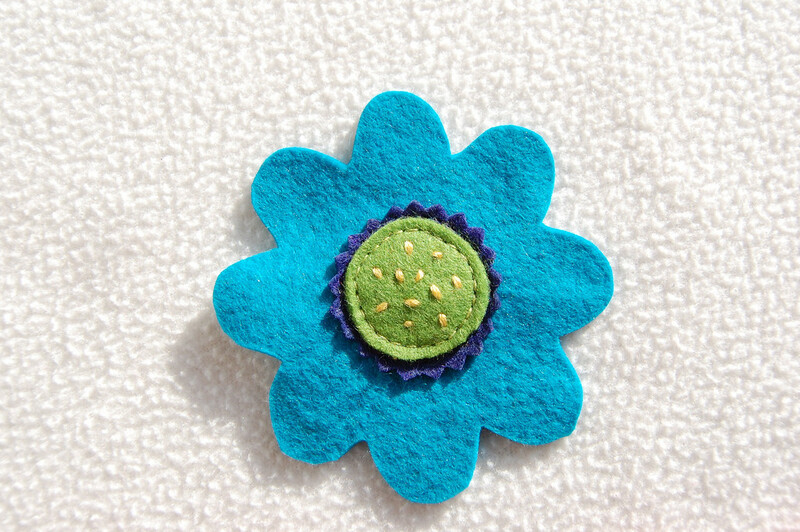 Another piece of same-color felt cut bigger than the flower shape (back of wand, pre-trimmed). 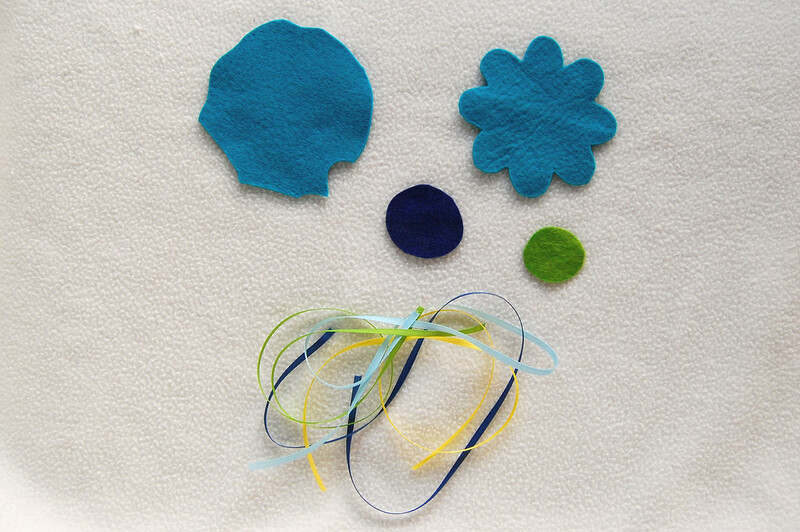 You could cut the second piece into a flower shape too, but that would mean aligning all the fussy petals when stitching the two flower pieces together which is iffy. Miscellaneous ribbon cut to 1.5" lengths. Best to use at least 1/4" widths. sewing thread and a good babysitter. 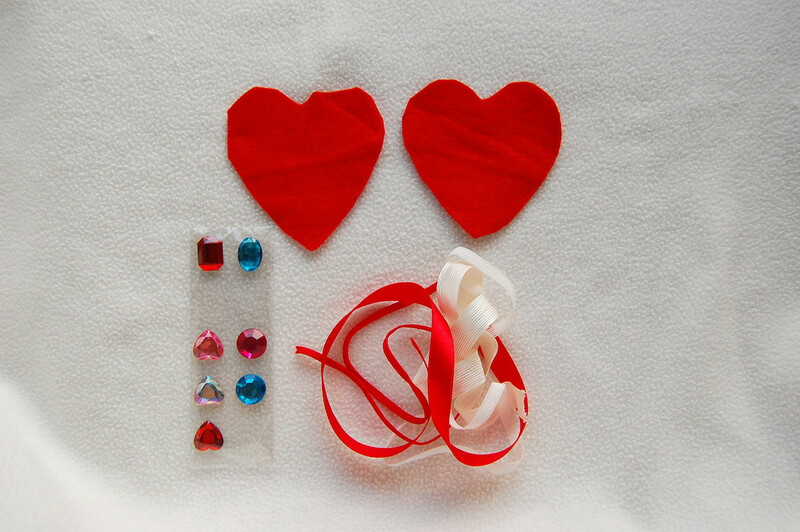 Complete all embellishments except for the adhesive sorts which can be left to the last. 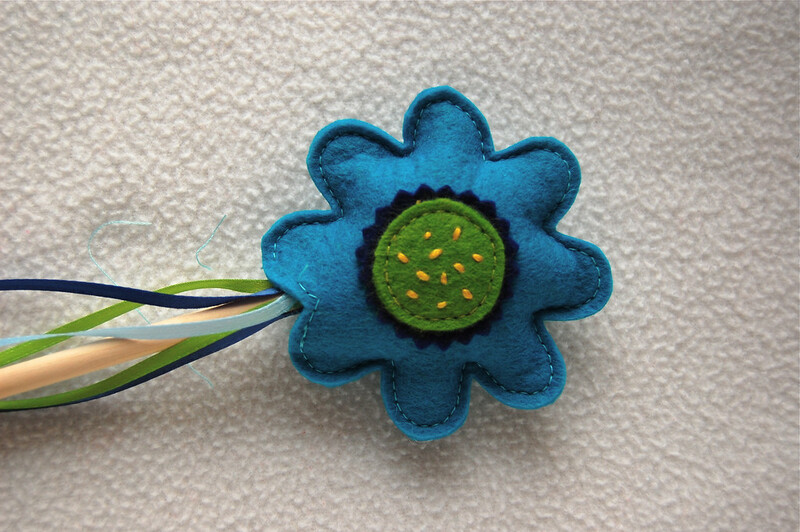 For the Flower Wand, I embroidered silly little dots with yellow floss (all 6 strands) on the green circle, then top-stitched that to the navy circle, then pinked the edges of the navy circle. 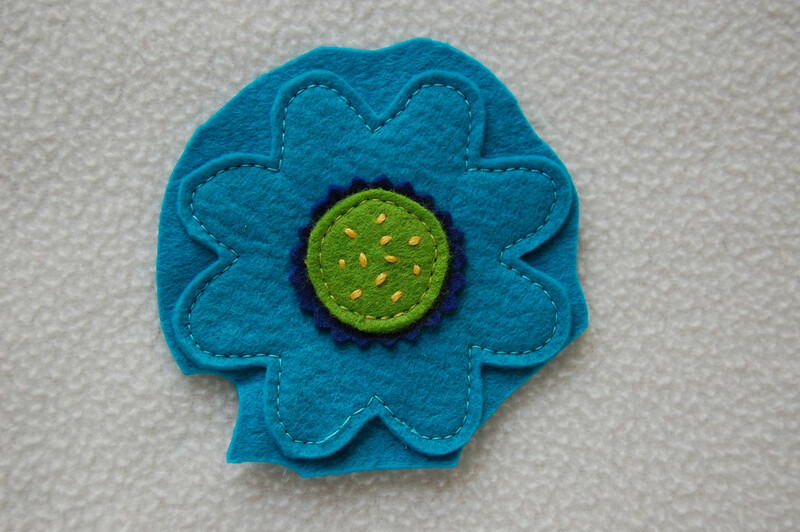 Finally, I top-stitched the navy circle to the teal flower. 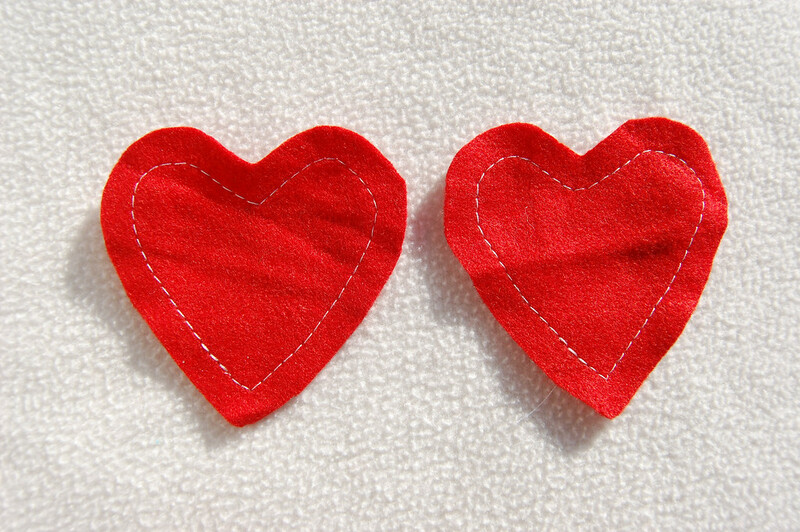 For the Heart Wand, I top-stitched about 1/2" from the edge all around both hearts in white thread, just for contrast. 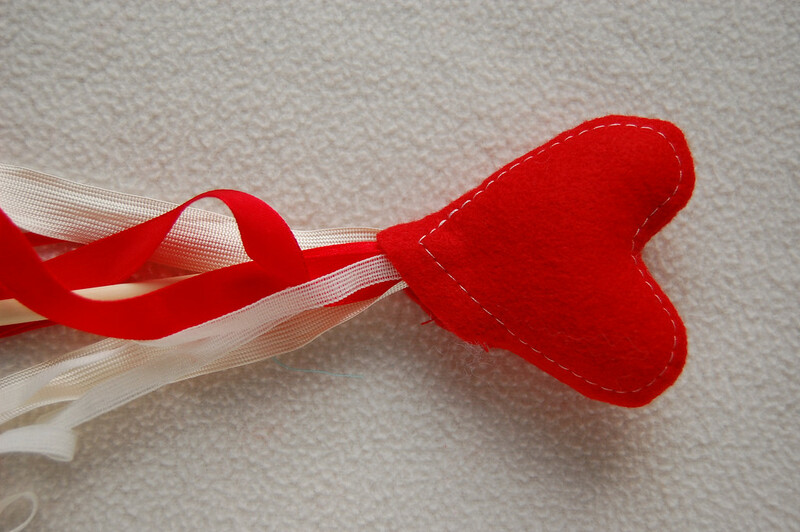 You could hand sew a running stitch with embroidery floss for a superior effect but I was lazy. 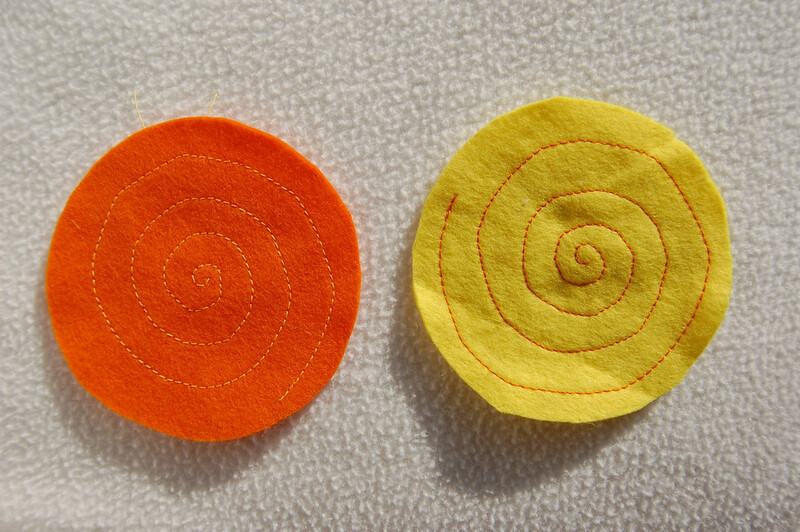 For the Sun Wand, I did running-stitch in a spiral in contrasting-colored thread (i.e. 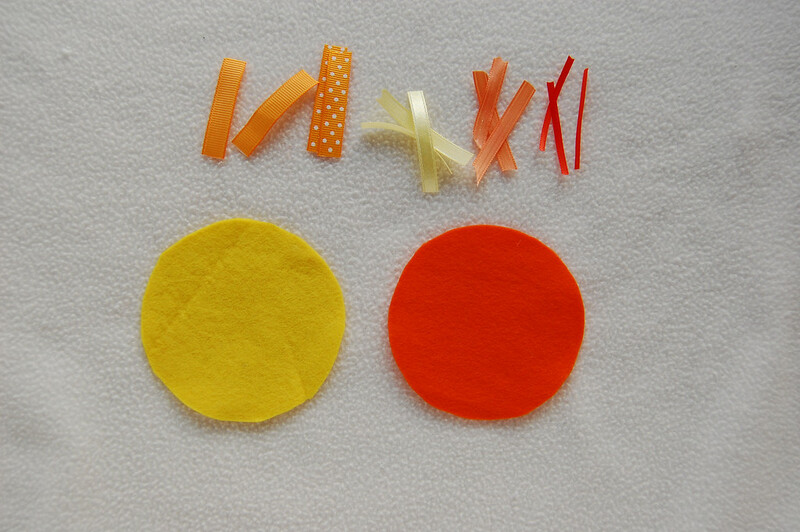 yellow thread on the orange circle and orange thread on the yellow circle). 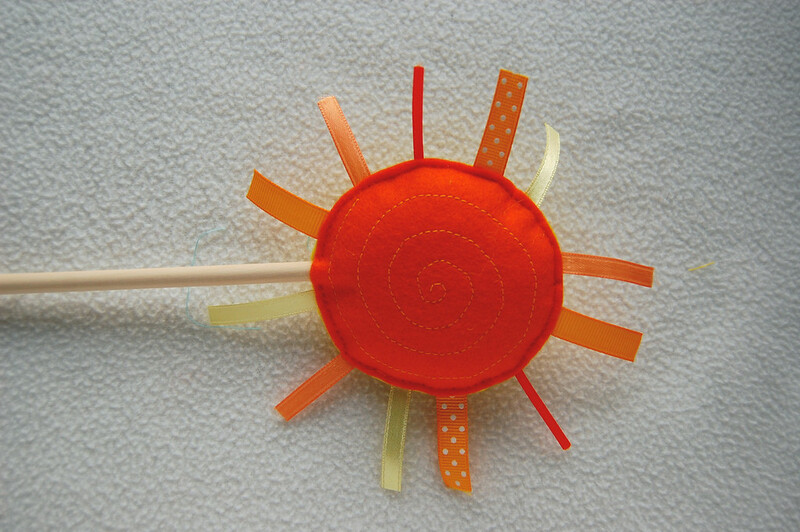 For the Flower Wand, place the flower-shaped front piece on the blobbish back piece and top-stitch close to the edge of the flower outline. 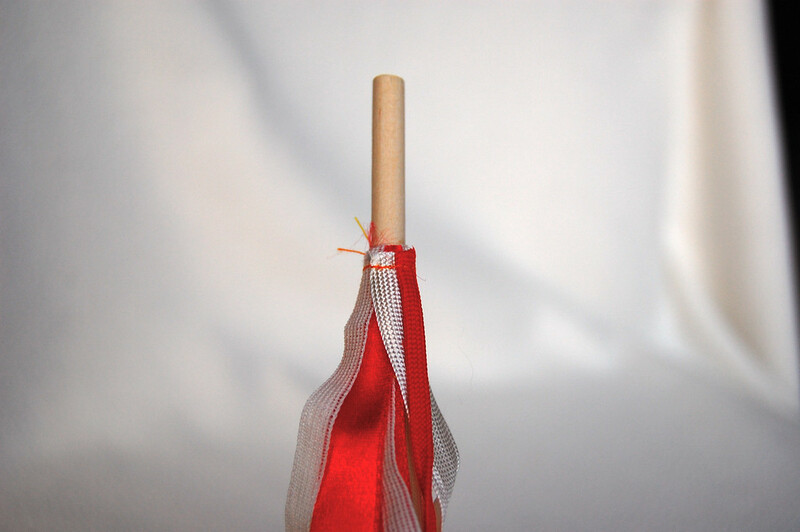 Leave a small opening for inserting the dowel (see the loose stitches at the bottom). 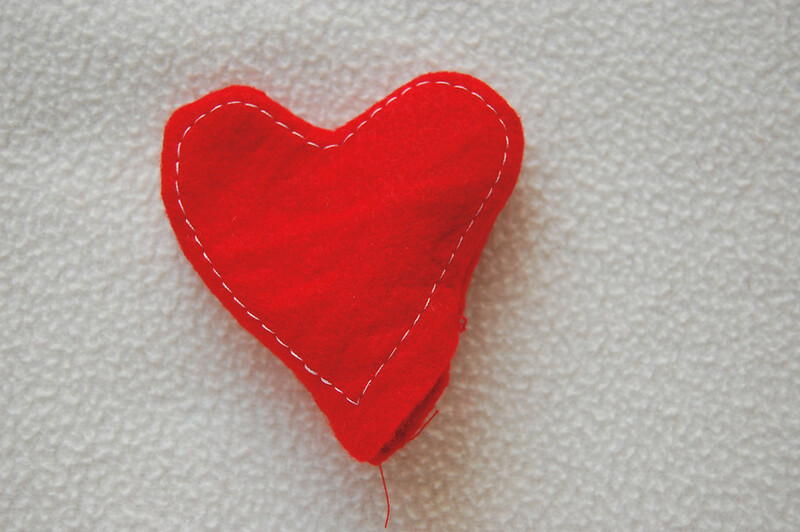 Remember to back-stitch when you start and end! 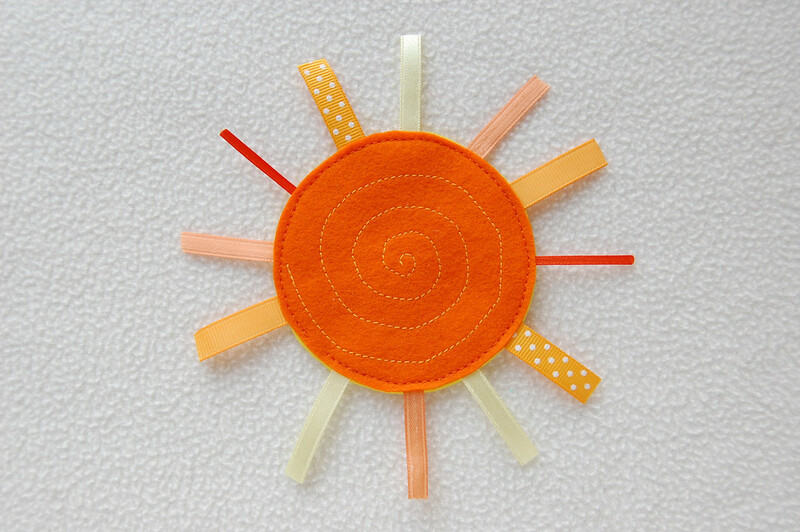 Then trim the back piece to a flower shape, using the front piece as a guide. 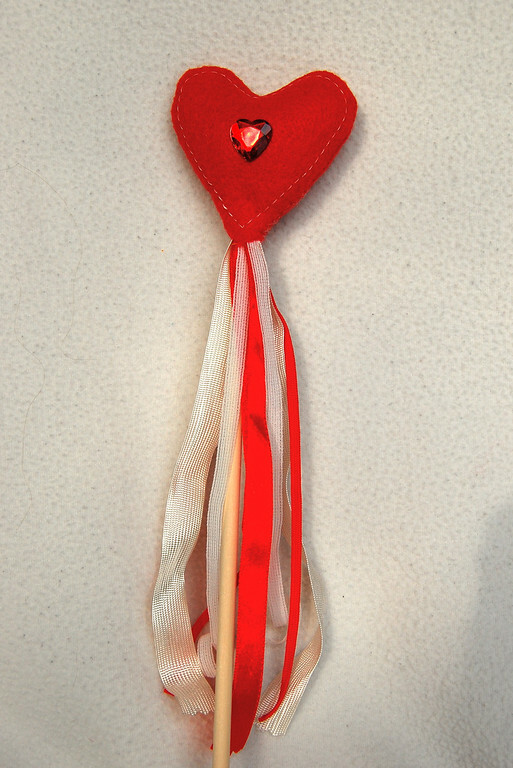 For the Heart Wand, I thought I'd be a bit clever and sew along the outline with right sides facing in and then turn it right side out. No reason, just experimenting to see if this would give a more rounded product. The downside is that one would need to leave a rather large opening for turning out, meaning more hand-sewing later. 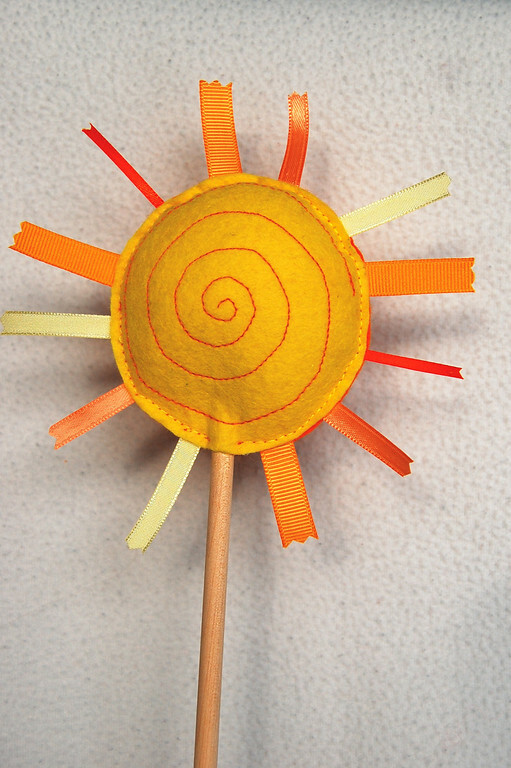 For the Sun Wand, mark equal intervals around the circumference of the circle for the ribbons. 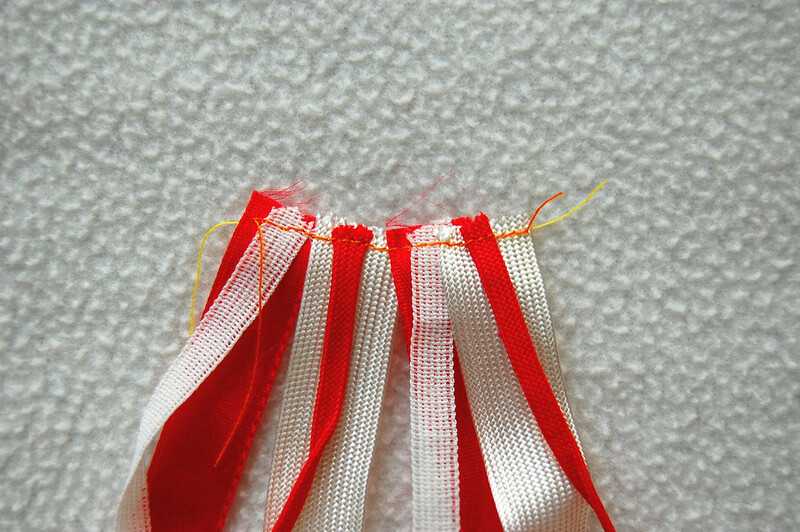 Top-stitch close to the edge of the circle, inserting ribbons about 1/2" (so about 1" sticks out) as you go. 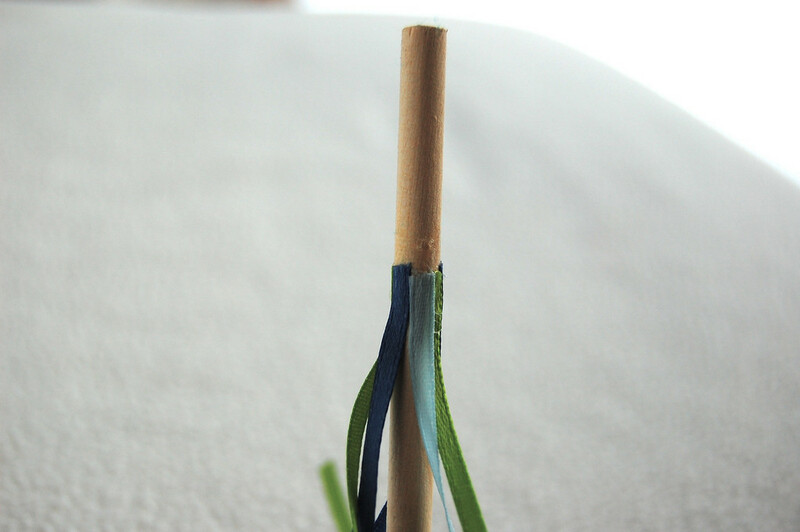 Leave a small opening at the bottom for inserting the dowel. 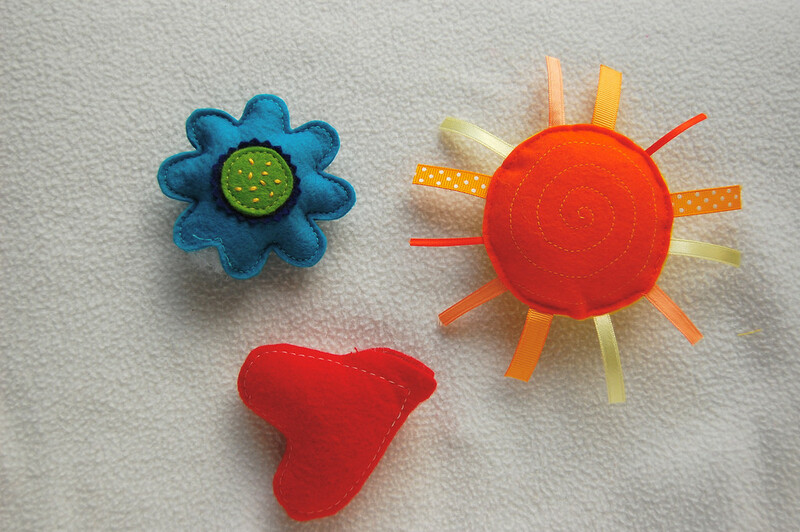 Stuff the shapes but don't be overzealous - they are not meant to be softies but more like, er.. puffy flatties. 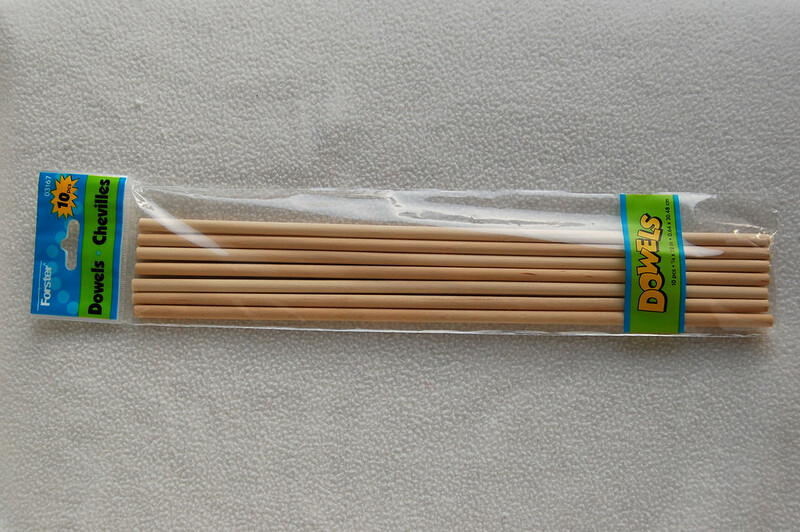 Insert a dowel experimentally into the opening of the flower and lightly mark on the dowel the depth of insertion. Apply strong craft glue above this point (about 1/2") all round the dowel and stick the ends of the ribbon all round the dowel. Let dry briefly. 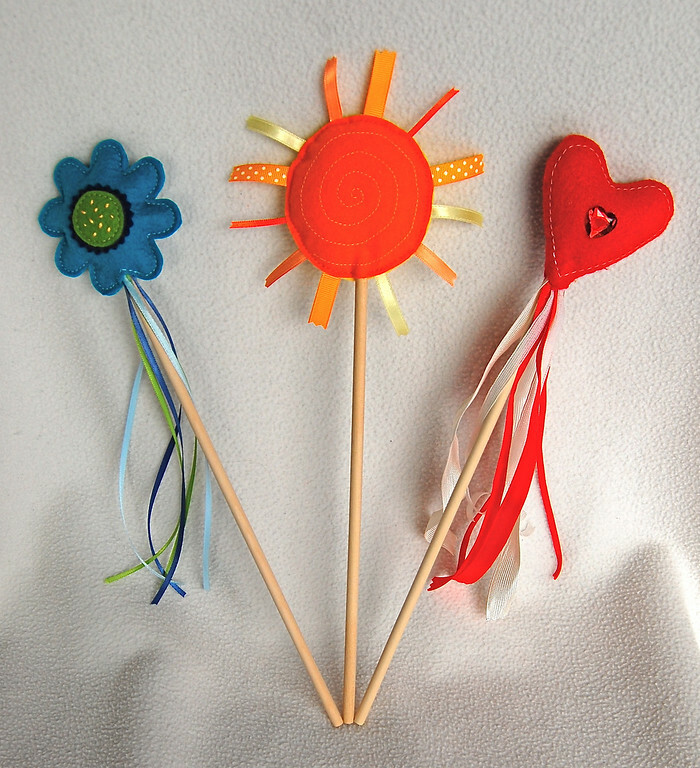 then apply more glue on the section of the dowel that will be inside the flower, including the adhered ribbon ends. 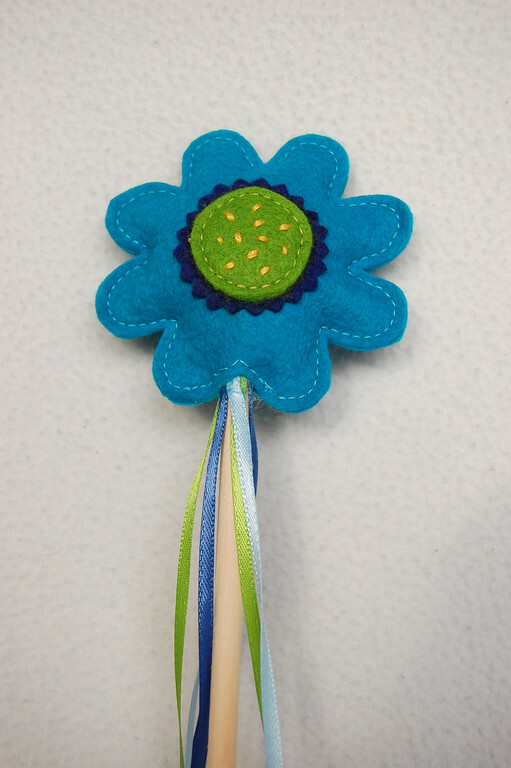 Insert dowel-with-ribbons into the flower - I found a twisty motion helps defeat the resistant stuffing. Hand-sew (ugh) around the opening to ensure a tight fit. and then wrapped them around the appropriate point on the glued dowel. They went around 2-3 times! and hand-stitch the huge opening shut and tucking in whatever fabric is necessary to get a snug fit around the dowel-and-ribbons. Embellish how you like it - I stuck on gems just because I had some left over from the crowns. and stitching the opening snugly shut around it. so I left them as they were. Oh, another cute cute addition! I love these. Can't wait for January when I start on a box of my own. Was thinking today as my oldest waltzed in pretending to be a tiger -- she'd tied a LONG piece of bright yellow huge-diameter piping around her waist -- that I should ask whether you've made any tails for the Box. But then I saw in the next post that it's done. Big congrats! It's so lovely! P.S. I replied to your comment about the softies here. Wasn't sure if you subscribed to the comments and don't know your direct email... Nutshell: about 4" tall. I am definitely trying this for my little princesses! I saw you from 21 Wale. Great idea - I could see all my princesses loving these. Plus the sun one could be for princes.